The par 5 opening hole offers a benign opening tee shot laid out on level country and somewhat belies what lays ahead. Fairways winding through avenues of gorgeous trees, on rolling contours, that present some holes of great character and challenge. The homeward nine forms the outer loop with the boundary of the course always to your left. The closing 5 holes provide a tremendous finish to the round for, with the exception of the short 17th, each one measures over 400 yards. If you have played Ifield before, it will be much as you remember it and we look forward to welcoming you back. If playing for the first time, you can look forward to playing one of the most established Parkland courses in the County. 18, 27 and 36 hole packages available with breakfast, lunch and evening dining options. • Winter season November to March. • Spring package in April. • Summer season May to October. Located in Rusper Road a mile from the A2011 Crawley Avenue ring road. 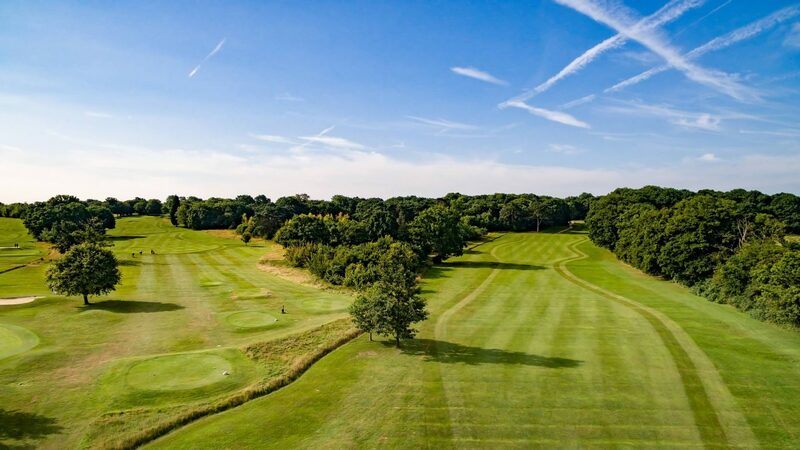 Vary with the seasons; book online at www.ifieldgolf.com or ring the Pro Shop on 01293 523088. Being close to Gatwick Airport there are plentiful Hotels within a close radius. 18-hole course, bar, outside terrace, pro shop, free WIFI, changing rooms and lockers. Practice ground, putting green and practice nets. Large car park.